Oral Essentials Original Formula toothpaste is now THE gold standard in oral care. 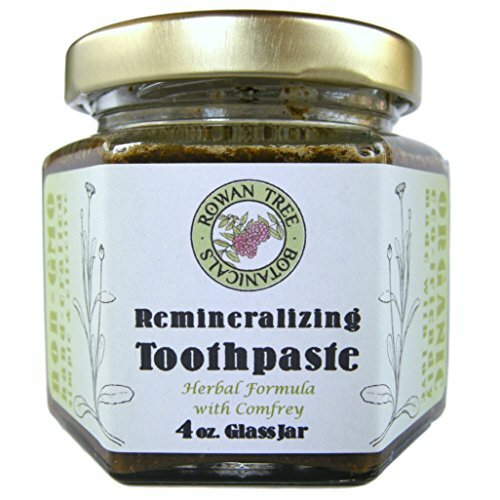 This truly addicting herbal toothpaste leaves your teeth feeling so smooth, and your breath so fresh we're sure you'll never be able to use any other toothpaste again. Our invigorating blend of wintergreen, peppermint, spearmint and clove essential oils work to break up plaque and fight bad breath, while our Non-GMO xylitol reduces the risk of cavities, and gingivitis. Dead Sea salt helps remineralize teeth with minerals like calcium, magnesium, and potassium, and our Organic aloe vera soothes tissues. All of this without fluoride, harsh chemicals or artificial dyes. We also use food grade carrageenan (made from algae) and vegetable glycerin, instead of the industry standard petroleum based glycerin, which leaves a film on your teeth that attracts plaque! 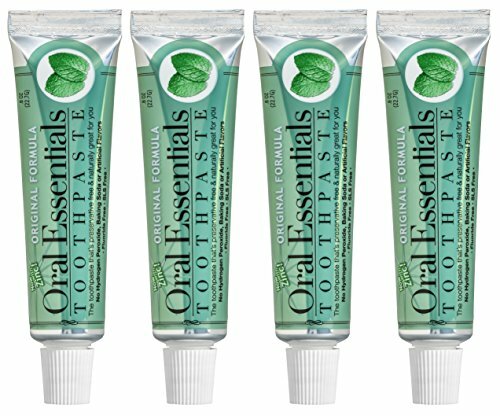 Oral Essentials Original Formula toothpaste is gluten free, vegan, dentist formulated & recommended, and comes with a 30-day money back guarantee! Try it today and prepare to be wowed. Desert Essence Tea Tree Oil Toothpaste is flavored with pure essential oil of peppermint for a pleasant taste and minty, fresh breath. The antiseptic properties of the eco-harvest tea tree oil help in fighting the plaque buildup. While the combination of baking soda, sea salt and tea tree oil deep cleans the teeth and gums. 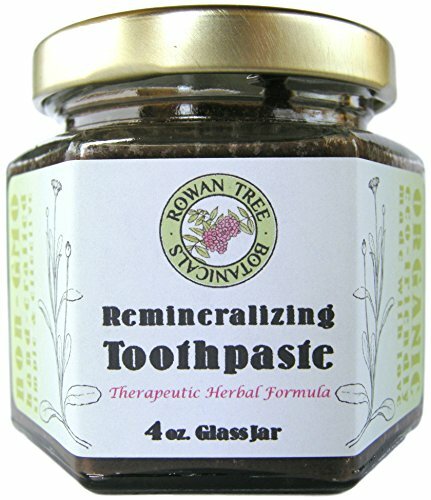 This vegan tea tree oil toothpaste is free of fluoride, gluten, sweeteners, parabens, harsh abrasives, phthalates, and artificial fragrances or dyes. teeth with Biorepair®, microRepair® microparticles of hydroxyapatite are released. Hydroxyapatite is virtually identical to enamel and that's what makes Biorepair® such an effective enamel repairing toothpaste. These microRepair® microparticles are so small, they can get into the tiny cracks and crevices on the surface of your teeth often caused by acid erosion. They then fill in the cracks and bind to the enamel - actively repairing tooth enamel.Repairing tooth enamel The microRepair® microparticles act on tooth enamel by filling in microscopic fissures, scratches and surface enamel lesions, smoothing out any roughness and repairing the surface, making the tooth look more radiant. Preventing decay By filling in the tiny holes to repair the damaged enamel surface, the microRepair® microparticles help to prevent plaque and bacteria from forming and leading to more serious damage such as tooth decay. Reducing sensitivity The microRepair® microparticles strongly bind to the tooth enamel and fill in the tiny holes, forming a protective layer over any exposed nerve endings. This gives effective long-term relief from dental sensitivity. 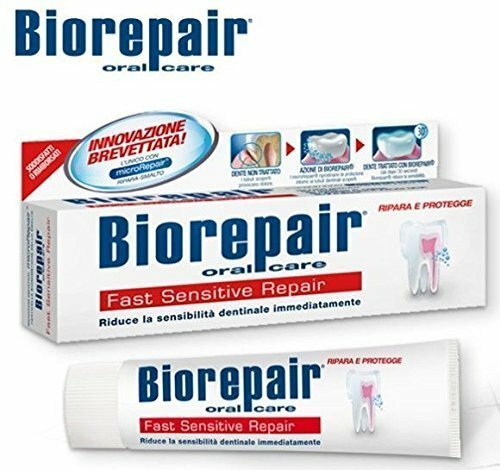 BioRepair® is a total protection toothpaste for daily use Your teeth may look and feel healthy, but a closer look would reveal hundreds of microscopic cracks and flaws - daily wear caused by acid in plaque, food and drink. Normal brushing cannot reach these flaws, and over time can develop into more serious damage like cavities and tooth decay. The revolutionary Microrepair(TM) microcrystals of BioRepair(R) can get into these flaws, where they bind to the surface of the enamel and dentine, to remineralise and repair your teeth surface, therefore preventing decay before it can start. 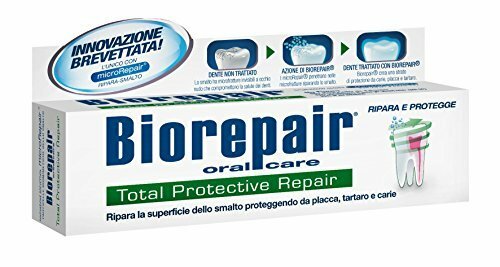 In addition to repairing enamel, BioRepair(R), like regular toothpaste, effectively cleans teeth, fights plaque, protects gums, and freshens breath, making it suitable for the whole family to use every day. Note - This tooth paste is Mint Flavored. 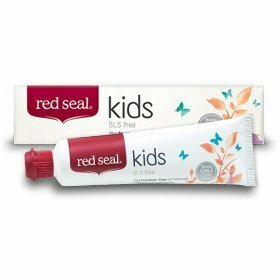 A non-conventional toothpaste that uses safe and natural ingredients that works effectively without the use of chemicals, such as Sodium Lauryl Sulfate (a synthetic foaming agent) or artificial sweeteners or any other chemicals that may pose health risks. 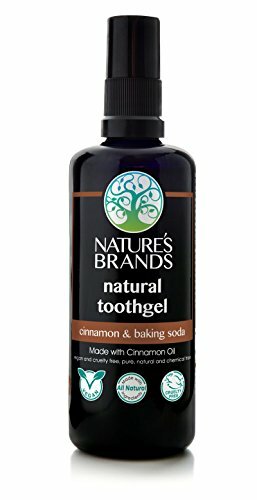 This natural cinnamon flavored toothpaste contains pure antibacterial herbs along with cinnamon extract to fight bacteria and bad odor while helping prevent cavities. 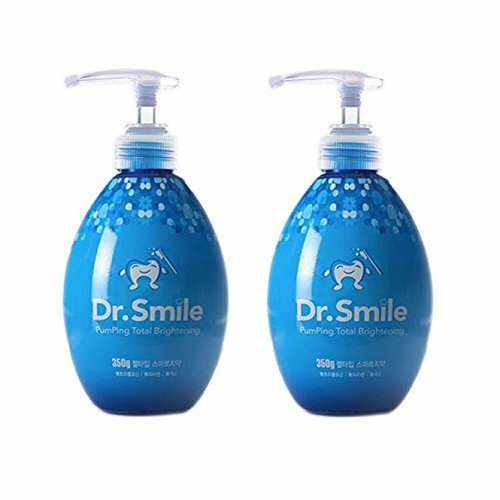 Contains the natural whitener baking soda which easily dissolves in water and gently whitens your teeth. It is a no fluoride toothpaste as this is a chemical known to be a by-product from manufacturing plants and considered potentially dangerous due to its side effects. The consistency is between a tooth gel and a toothpaste.